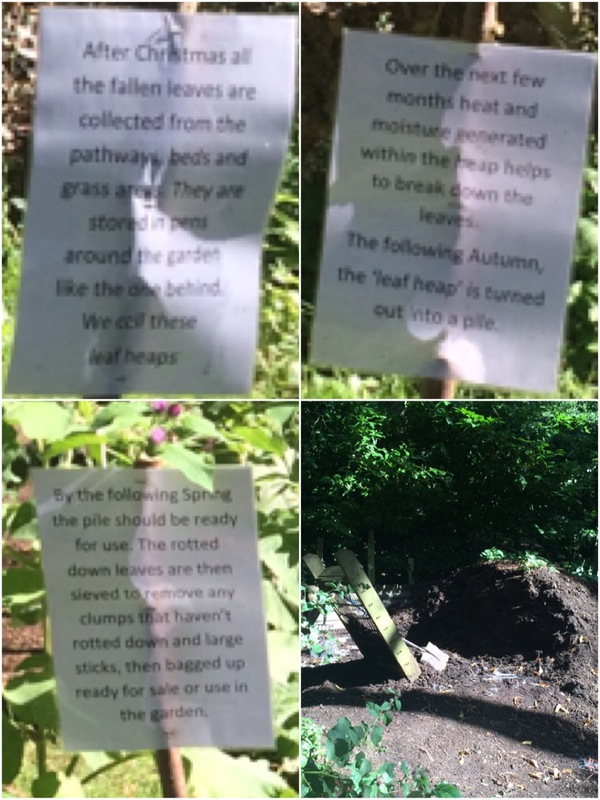 It seems almost a crime to be discussing the autumnal activity of collecting fallen leaves to make compost- in the middle of summer! However, that is what I’m going to do after seeing it in a large scale in Fairhaven woodland and water gardens (Norfolk) and becoming inspired by their layout of it and how they use it. They collect the leaves fallen over Autumn/winter into pens and leave them over a year so it has a chance to properly break down and be able to be turned out into a pile. 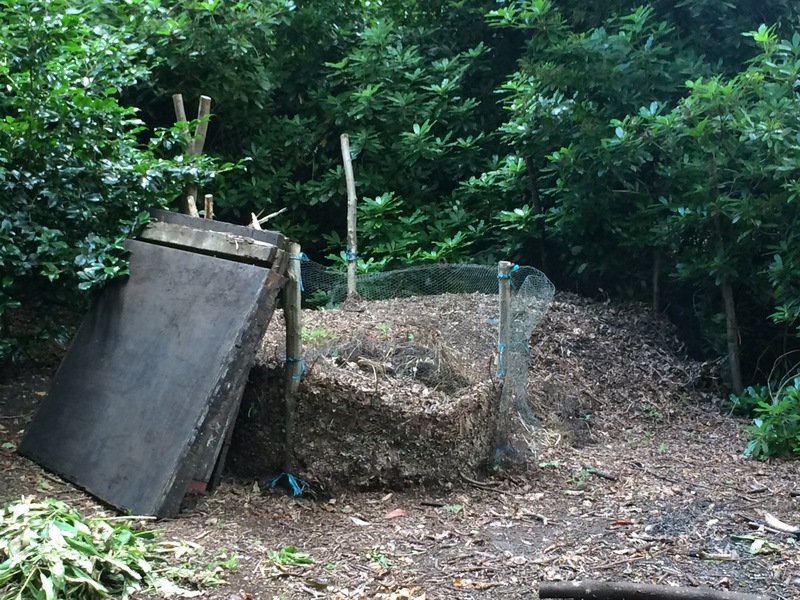 In the spring time that follows, the pile has turned into soil which is ready to use once it has been sieved through with a large sieve to remove clumps which didn’t rot down properly and also large sticks. 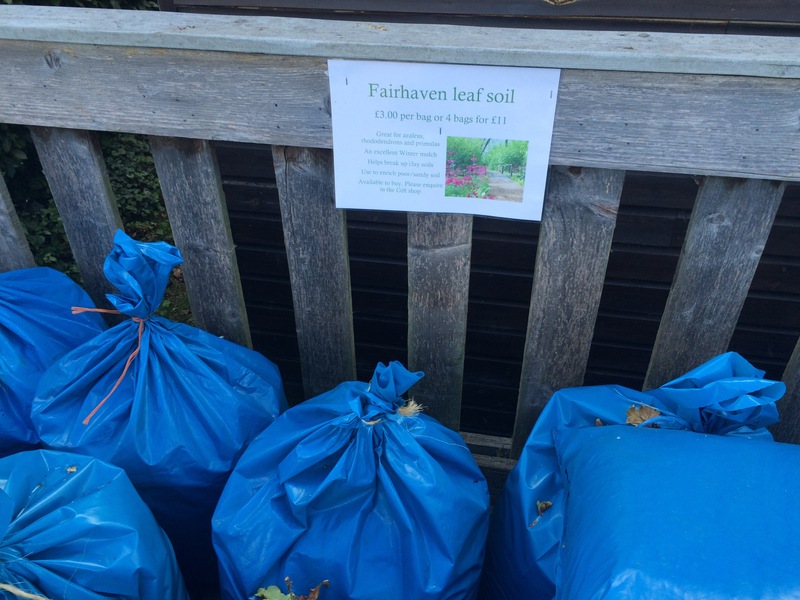 As you can imagine, Fairhaven gardens is a large area, so enough leaf compost is created which can be sold on! I’m sure we all have an area in our gardens that is kind of a blah/ dead spot- perfect for compost piles. For me, it’s a corner on the top right hand side of the garden. 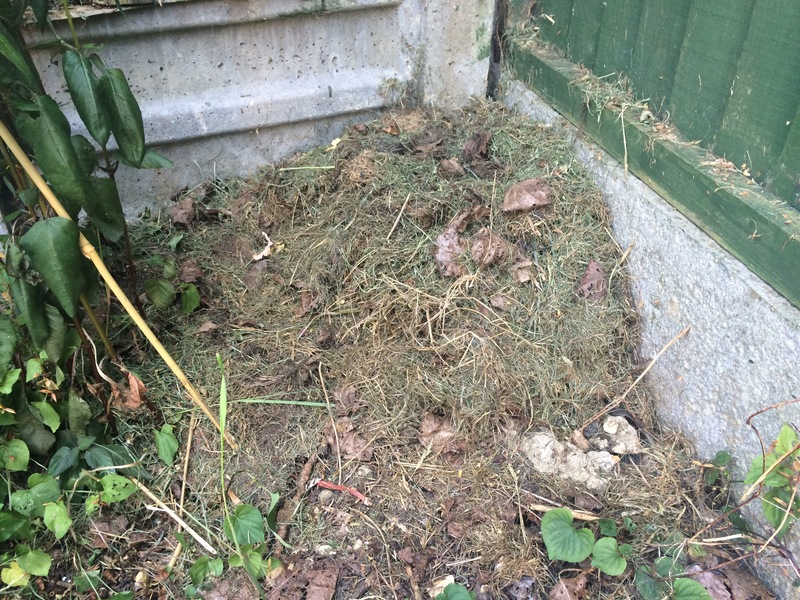 Since the grass needed mowing again, this past spring, grass cuttings have been dumped there. Grass is much faster to break down than leaves, but I imagine the total nutrient contents would be bumped up if I were to add fallen leaves to the pile. The downside to this activity is the Long wait until you can use the soil. Once the first pile is a year old, it’s worth creating space for another pile so you can always have a pile on the go thereafter.